Research has identified criteria to assess quality in order to improve it. About fifty years ago, Sanazaro and Williamson created a classification of effective and ineffective performance by asking physicians to provide examples of good and poor care. This study replicates Sanazaro and Williamson’s design using a sample of healthcare managers instead of physicians, to compare perceived dimensions of quality care and to discuss differences and similarities. 135 episodes of good and poor quality care were collected from 74 healthcare managers in the United States. The data were categorized using Sanazaro and Williamson’s classification. Findings suggest that this classification is still valuable, but the importance attributed to the dimensions of quality has changed over time, and some new subcategories have emerged in relation to the process (e.g. Communication, Timeliness, Guidelines adherence, Patient-centredness) and the outcomes of care (e.g. System adjustments, Utilization of resources, Perception/reputation of the facility). 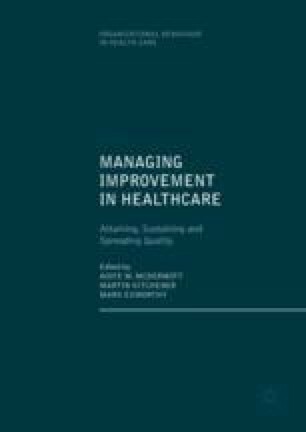 This chapter highlights dimensions of quality that improvement initiatives should target. Agency for Healthcare Research and Quality. (2016). Chartbook on access to health care: Timeliness. Retrieved from http://www.ahrq.gov/research/findings/nhqrdr/2014chartbooks/access/access-time.html. Accessed 2 Dec 2016.